Despite the recent downturn in the cryptocurrency markets, the Initial Coin Offering (ICO) frenzy seems far from over, as new projects continue to pop up. Most recently, a familiar name has appeared among these blockchain-based projects, one that has turned heads in the space: McAfee Coin. 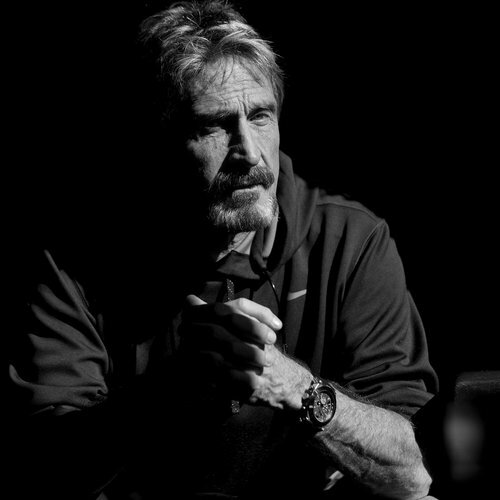 John McAfee, a name that has earned recognition both within and outside of the cryptocurrency sphere, posted the official link to the official McAfee Coin website today via twitter. 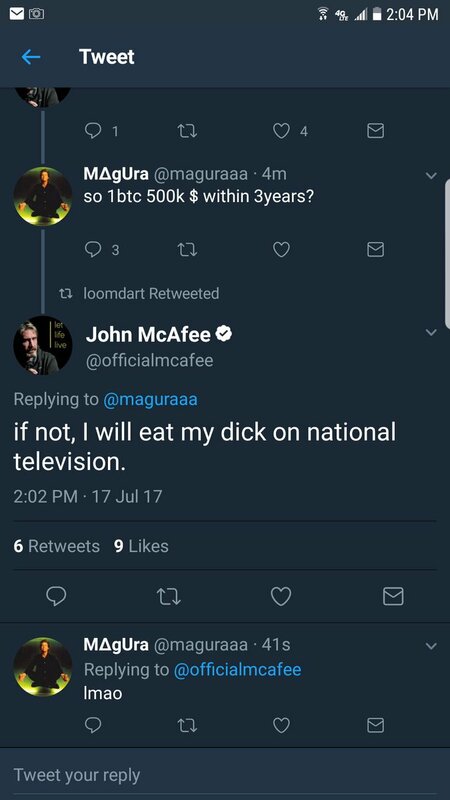 Though the announcement has left members of the community baffled, this wasn’t even McAfee’s most intriguing tweet of the day. McAfee’s confidence in the future of Bitcoin and cryptocurrencies is certainly one of the driving factors for the creation of MCF. So, what is McAfee Coin? The McAfee coin, which will have its own Initial Coin Offering campaign, seems to be part of a bigger system designed to help fund startups and project. Taking the form of a corporation, the McAfee Crowdchain Accelerator Inc. is currently spearheaded by its three founders: Yale Reisoleil, co-founder, chairman and CEO; John Mcafee co-founder and director; John Zhu, co-founder, director and COO. Although it’s not 100% clear what role the McAfee Coin (MCF) will play within the McAfee Crowdchain Accelerator Inc. (McAfeeXL), the company’s purpose is clear: a startup accelerator that aims to get early stage-companies off the ground by providing them with the tools and help they require. We think hackers are most productive when they can spend most of their time hacking. Our goal is to create an environment where you can focus exclusively on getting an initial version built. Selected group of graduates of the Accelerate programs will receive more funding from our own investment funds and other institutional investors around the world. However, we do get a few hints on how the MCF token will allow its holders to be involved in the project. According to the website, McAfee Coin holders will be part of the investment team and will be involved in the decision-making process. This means that users will be allowed to evaluate teams in the Accelerator programs, as well as their allocation of later stage funding. If you’re somewhat new to the cryptocurrency world, you may be surprised to see the founder of the McAfee antivirus involved in an initial coin offering campaign. However, John McAfee has been dipping his toes in the blockchain waters for a while now, earning experience in cryptocurrency mining and investments. Being appointed as CEO of MGT Capital Investments, John McAfee has turned the company into a cybersecurity firm and shifted its focus towards mining as a means to turn the company’s losses into profits. In 2016, the first large-scale Bitcoin mining operation by MGT Capital Investments took off with over 2.6 PetaHash of mining power, later expanding to more than 5 PetaHash. We are more convinced each day of the growth and value of digital currencies, and our Company is uniquely positioned to be a leading provider of processing power to relevant blockchains. The addition of Ethereum and Ethereum Classic to our crypto mining strategies is expected to be very profitable for us. Earlier this year, MGT has also announced the upcoming launch of its Bitcoin Mining Pool whose launch is scheduled for the second quarter of 2017. McAfee has confirmed, however, that MGT Capital Investments will not be fully reliant on cryptocurrency earnings and will also continue to focus on cybersecurity. Are you intrigued by John McAfee’s latest venture? Will he continue to make waves in the cryptocurrency space? Let us know what you think in the comment section.